Papasito is an organic Mexican restaurant in Northcote that has replaced the cashew milk dessert specialist Coco Loco (which they also used to run). 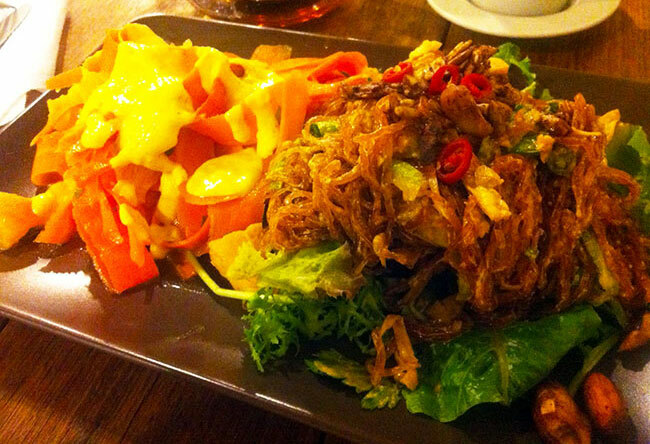 Rumours of cashew based cheese or 'queso', led us to High Street to check out their vegan offerings. 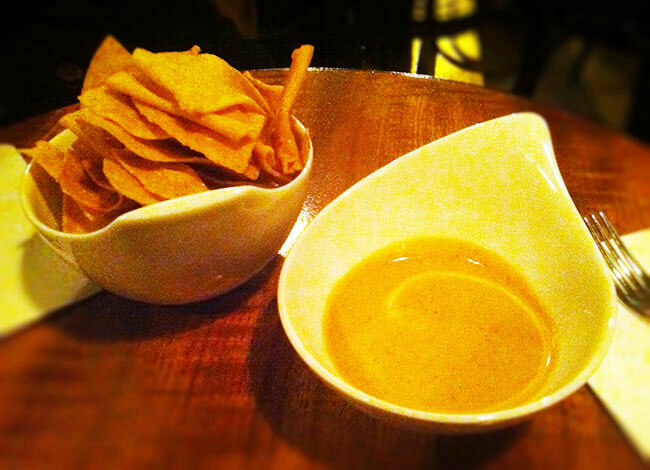 We started with the 'Totopos (fresh house yellow corn chips) w/ Smoked Cashew Queso' ($10) which were fresh and delicious - that smoked cashew queso is a hit! If it had being warmed slightly it would have been even better. For mains we opted to share the 'Huitlacoche Tacos' ($17); 2 x 7 inch handmade soft corn tortillas with grilled mushroom, potato, queso and mexican black truffle, along with lettuce, tomato, coriander and lime. The cashew queso and chipotle mole sauce were the clear highlight, but the tacos risked being a little dry without an adequate spread of these condiments. The 'Mamaita Sizzling Casserole' ($19) of eggplant, potato, tomato, mint and chipotle mole came with 2 x 7 inch fresh corn tortillas, which were doughier than the taco tortillas. The casserole was quite hearty with the chipotle mole again being the star. I quenched my thirst on a 'Mint Cooler' ($6) with fresh mint, lime, soda and vanilla nectar - which was absolutely chock full of delicious fresh mint. My sidekick tried the 'Polemo' ($6) - pink & white grapefruit, soda and vanilla nectar. Another beverage choice of interest was the 'Kluklu' with cashew milk, cinnamon and vanilla nectar ($6), which could be a good choice in lieu of dessert. The dessert menu is an old Coco Loco menu (complete with Coco Loco printed at the top!) which could be a bit confusing for diners not aware of the connection. 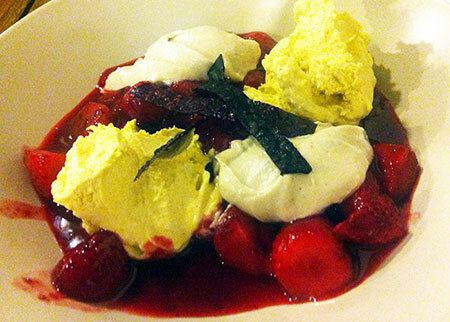 Nevertheless, we were delighted to select a 'Raspberry Chocolate Mousse' ($17 GF) made with cashew milk. The mousse had quite complex and rich flavours and was lovely with the fresh raspberry coulis on top. 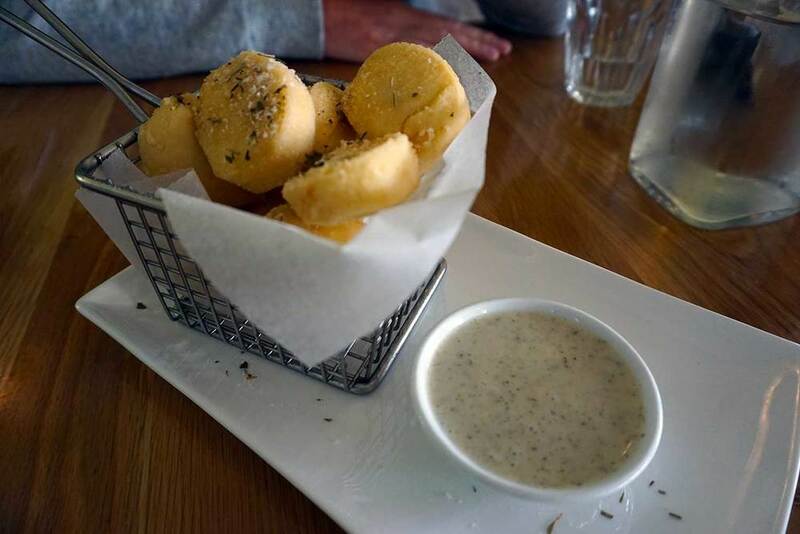 The serving was huge, so it's an ideal choice for sharing. A 'Mango Dark Chocolate' ($17 GF) version and a 'Caramelised Banana Dark Chocolate' ($19, GF) mousse is also on offer for vegans, along with housemade 'Pure Dark Chocolate Gelato' ($15 GF). Papasito's prices were quite high and the service was a little haphazard, but they were friendly, so we'd still recommend it for catering well to vegans over all three courses and for drinks - and let's face it, housemade cashew cheese will always be a huge draw card! Shokuiku is a new raw, organic, macrobiotic, vegan eatery in Northcote that's created a flurry of curiosity amongst Melbourne's vegan community. Raw dining, where food is not heated above 48 degrees so that enzymes, vitamins and minerals are not destroyed, is a new experience for us, so we thought we'd better check out the April dinner menu in it's entirety in order to report back to you good (hearted) people. Shoku iku is open for dinner only on Saturday nights at this stage and you must book a table if you want to partake. There are two choices available for each course (first courses $12, second courses $20, desserts $10 and side salads $9). We opted for the three course meal with side salad ($46) and were off to a great start with their 'Curried crepes w/ julienned apple and zucchini and plant-based yoghurt'. The vegan yoghurt made this dish something special. A 'Whole tomato, stuffed w/ sunflower pate and served w/ walnut pesto' also arrived to compete with the crepes and it definitely held its own! 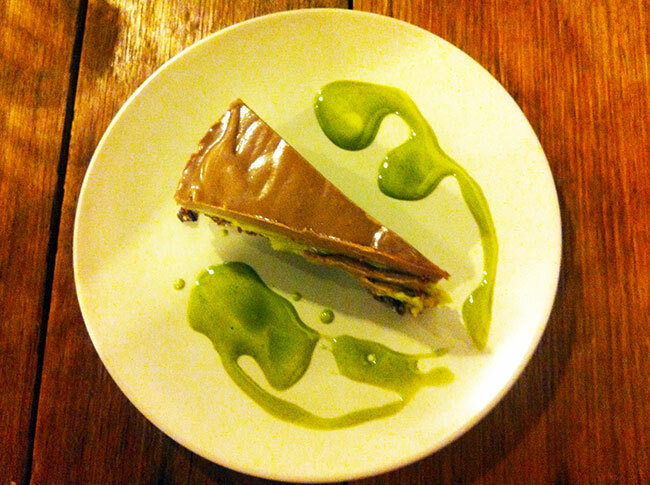 The incredibly moreish walnut pesto (complete with garlic hit) gave the vegan yoghurt sauce a real run for it's money. After a little wait, our main courses arrived complete with a side salad on each plate. The 'Vegetable ravioli, filled w/ plant based cream cheese and served w/ chunky tomato sauce' was accompanied by a huge serving of a 'green leafy salad w/ vegetable cous cous and red grapes w/ a fig and balsamic dressing'. The raw raviolis saw vegan cream cheese sandwiched between sliced radish and apple and it went down a treat, however the salad had copious amounts of a grated root vegetable (perhaps celeriac) masquerading as cous cous and while it was super vitamin hit, we couldn't quite stomach eating all of it. 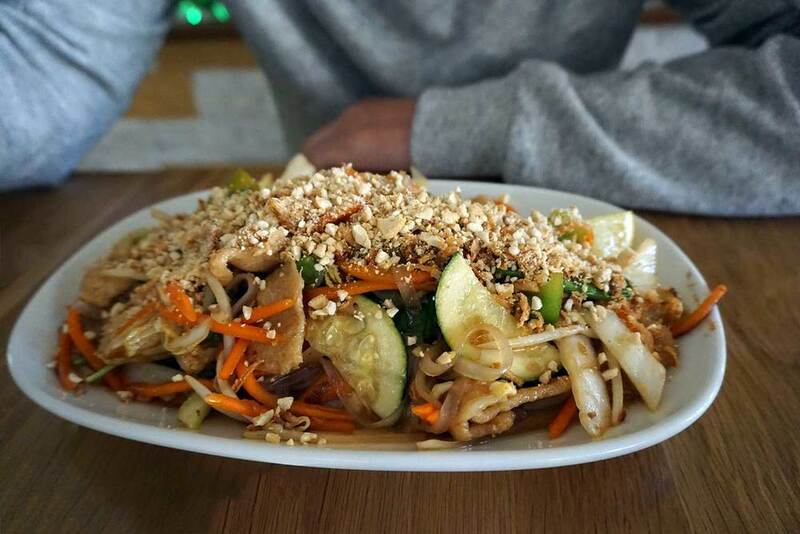 The other main of 'Kelp noodle and vegetable pad thai w/ sweet and spicy almond sauce and activated teriyaki nuts and seeds' was more salty than sweet and spicy and I felt healthier just looking at all that kelp! On the side was a 'Marinated carrot ribbon salad w/ creamy curry spiced dressing' but again, there was rather a lot of it and there's only so much ‘carrot ribbon’ one can eat in a single sitting! The evening peaked again when dessert arrived, delivering us an extraordinarily rich and creamy 'Peppermint and chocolate layer cake' along with 'Poached strawberries w/ lucuma (a subtropical fruit from Peru) and cupuacu (an Amazonian 'super fruit') sabayon and orange cream' which despite the extravagant description was a simple and refreshing dessert which was also garnished with strawberry leather (aka fruit rollup). There are plenty of herbal teas ($3-3.50) on offer (warmed only) along with teeccino which is a herbal coffee served with freshly made almond milk or warmed cacao ($5). The teeccino and cocao is rather creatively warmed in a vitamix. The Breakfast Club is a sweet little cafe on St Georges Road that catches me eye every time I pass it. After hearing that they have some vegan food on offer we thought we'd pop in for a late breakfast. On checking out the menu, we see that eggs make a huge appearance and that we aren't flooded with vegan options - the couple of vegan options available are well labelled though which is great. 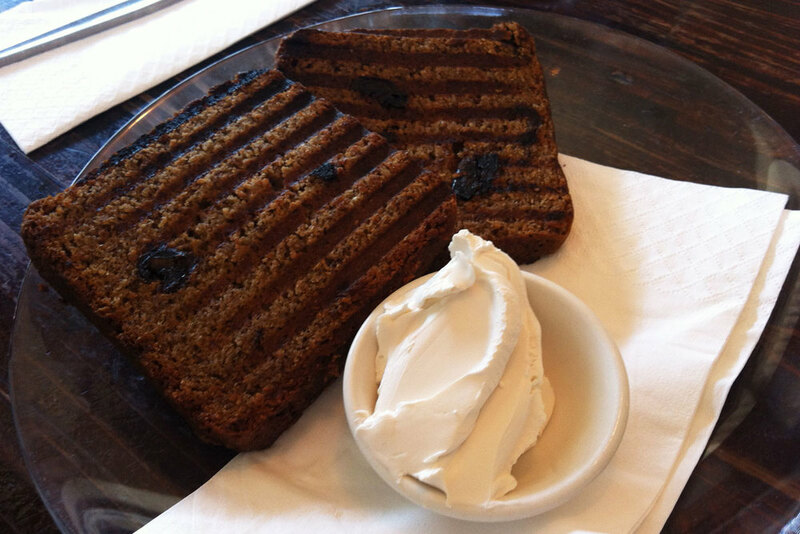 I tried the the 'Narna Date' ($9) which was toasted organic vegan banana and date bread with tofutti cream cheese. It wasn't a typical breakfast choice for me but I'm glad I had it as it was deeeelicious. Who would have thought that banana bread and cream cheese would be such a winning combination?! My sidekick went for the 'Cuatro' toasted sandwich ($9) which had the option of an onion jam accompaniment instead of feta to make it vegan. 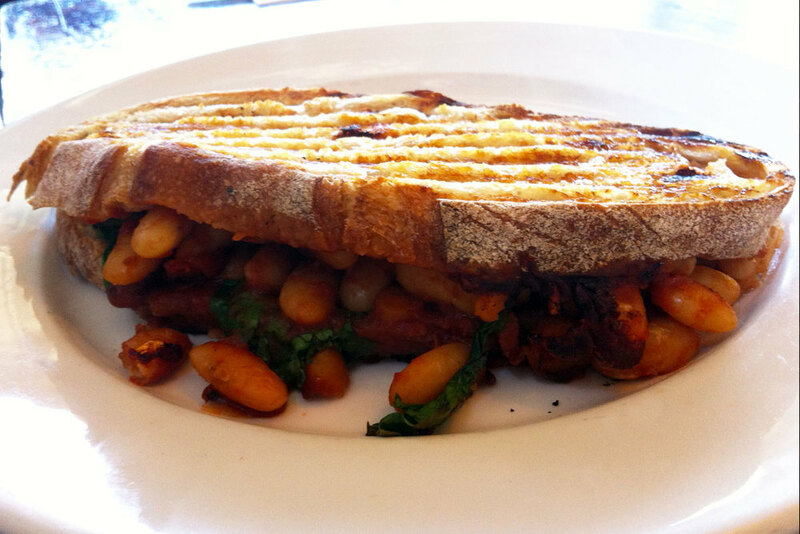 With homemade mexican baked beans, coriander, baby spinach and onion jam on toasted Crumbs organic sourdough there wasn't much that could go wrong. The onion jam was a highlight of this toastie, but unlike the banana bread it was nothing to write home about. There was also a chickpea salad with toast on the specials menu which could have had a vegan makeover, minus the feta ($12). The Breakfast Club use Bonsoy and make a top notch coffee which are $3.50 and a not too steep 30c extra for soy. The majority of the seating is outside but well sheltered, with a couple of tables inside too. It's a really nice little place to visit so let's hope that more vegan options will pop up here in the future. Veggie Kitchen - Intention of Love is such an adorably off-putting name for a restaurant, we thought it was about time we tried it. Veggie Kitchen is all vegetarian (der! 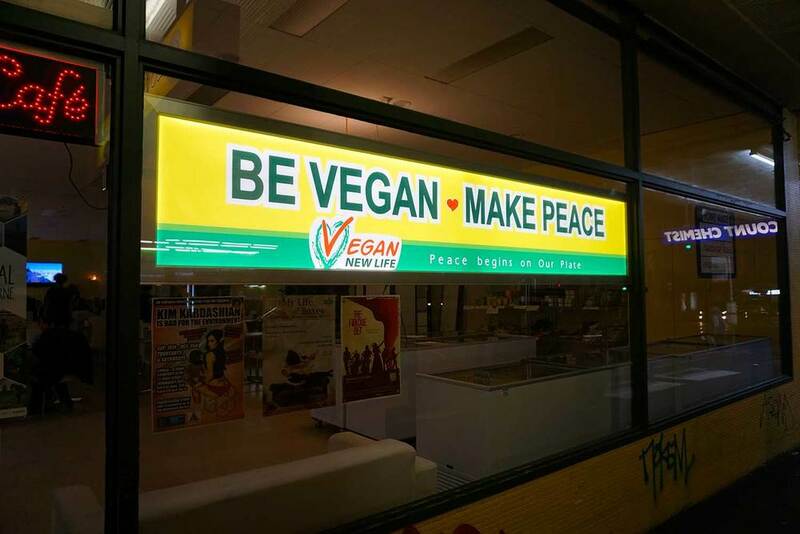 ), mainly vegan (or vegan optional) and Taiwanese. The menu is quite large with lots of really tempting entree goodies like satay skewers, dumplings, veggie buns, yam spring rolls, tofu rolls and more ($4.80-$6.80). We tried the Veggie Cutlet (2 pcs $6.80) - crunchy crumbed nori wrapped delicacies of soy prawn and cabbage. I've never being down the 'soy prawn road' before so it was a nice surprise to find these so tasty. I also went for a Bean Curd Burger ($8.80) which was layers of sweet beancurd, marinated tofu, crispy lettuce and tomato skewered together into a burger. It's juiciness made it delicious, but also messy to eat, so be prepared with a napkin before tucking in. It's a full on hit of marinated and fried tofu and while I'm glad I tried it, it was quite rich, so I think I'd rather take pity on my belly and go halves with someone next time. My sidekick had Hong Shao Tofu with Taiwanese Shitake Mushrooms ($12.80) with black rice (2.80). Whilst you couldn't fault the homemade tofu, the dish only had two small slices of shitake mushroom in it which was pretty lousy. The wholesome black rice side dish made up for the lack of fungi though. There were also vegan desserts including Tofu Pudding, Black Sesame Pudding (both $4.80) which I look forward to trying next time. Mister Nice Guy cupcakes were also available.